General Mills has issued a recall on some of its Gold Medal flour. 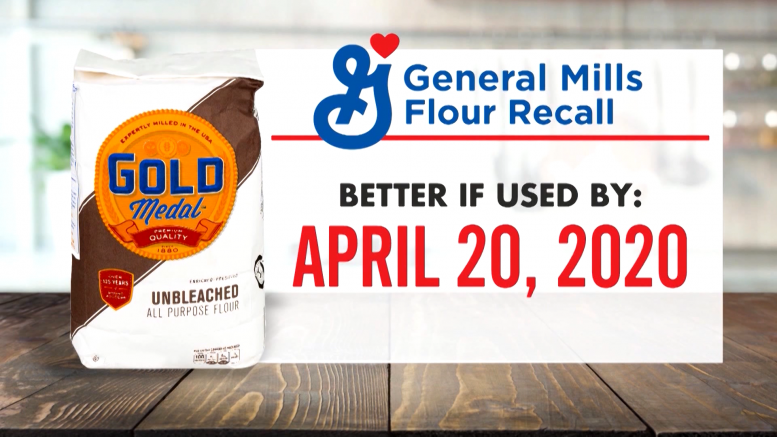 The company is recalling its five pound bags of unbleached flour with a “better if used by” date of April 20th, of 2020. Bags may contain salmonella contamination. General Mills says all other types of Gold Medal flour is safe to consume. The company says there have been no reports of salmonella poisoning, but they are urging people to dispose of the flour as a precaution.